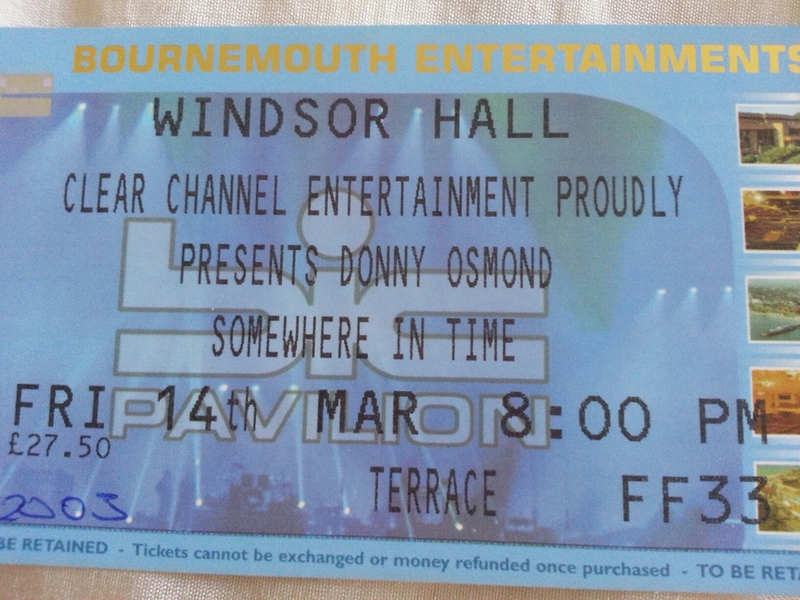 Friday 14th March 2003 💜Donny was in the UK touring & that included the BIC Bournemouth, on the South Coast, during his ‘Somewhere In Time’ Tour, of course I bought tickets & the family were coming too ! We decided to stay overnight in Bournemouth, in walking distance of the BIC. Remember being very excited on the day, checking in to our B&B, we went for an early walk, calling into the BIC for a drink, I wonder why !! & yes Donny was rehearsing behind closed doors of course ! Even the escalators were closed stopping you wandering the building, what did they think would happen !! Anyway, that was a treat, had to leave eventually & back to get ready for later ! 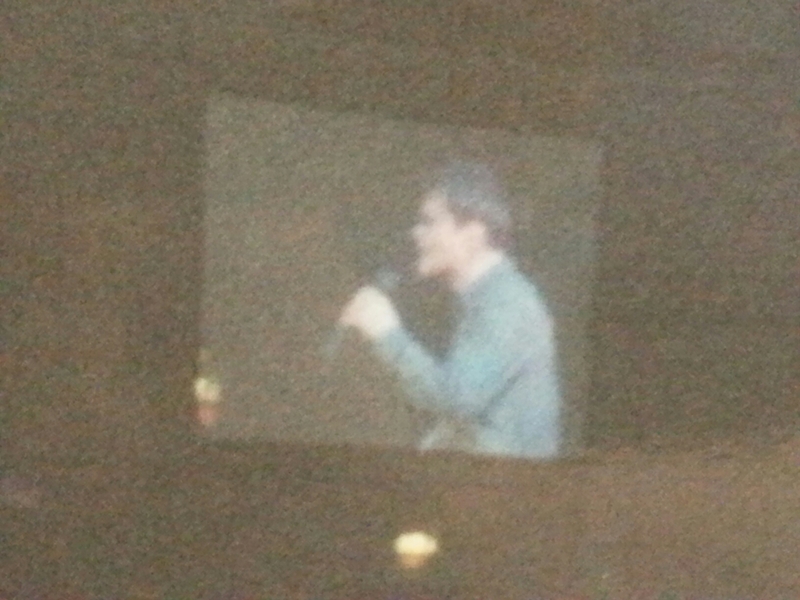 Evening arrived, walked down the hill to the BIC, exciting to be in same building as Donny again! #HeMakesMeGoAllFunny! 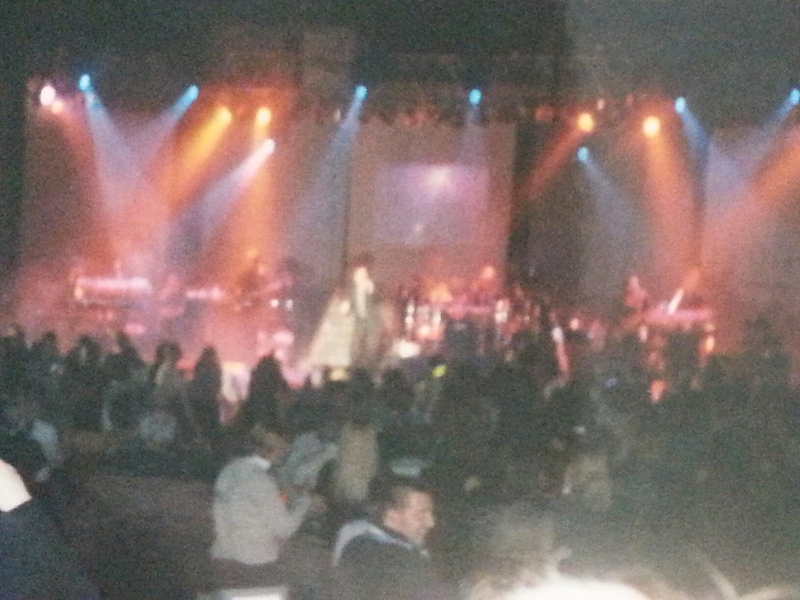 Need I say how terrific, fantastic, with a great atmosphere with sooo much screaming, the show was BRILLIANT ( as always) ! 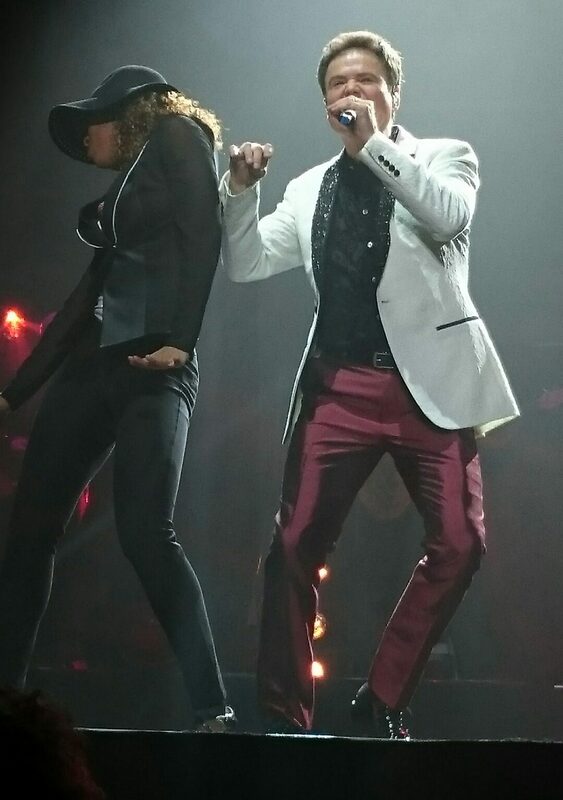 Donny, I have to say I could listen & watch you all night, every night ! X I’m not sure how but youngest daughter, aged 4, fell asleep, oh dear ! 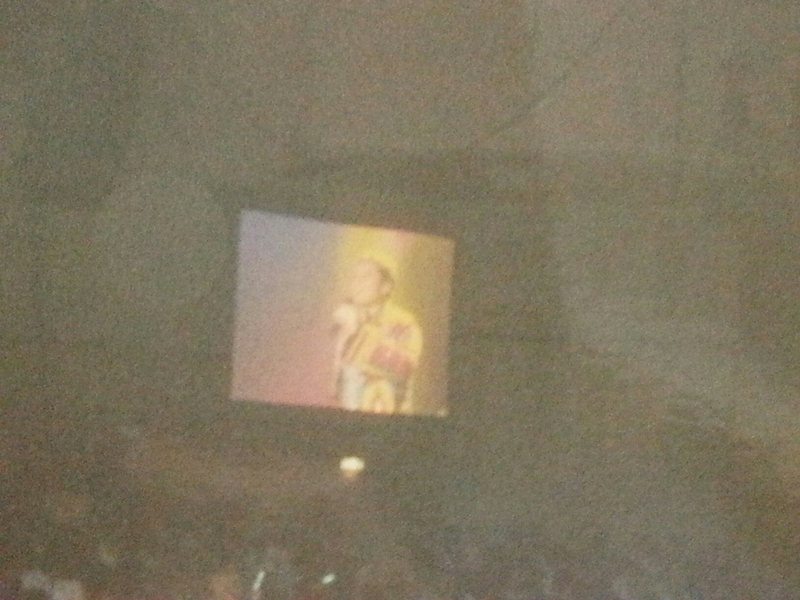 Photos quite a distance, had to take from screens ! 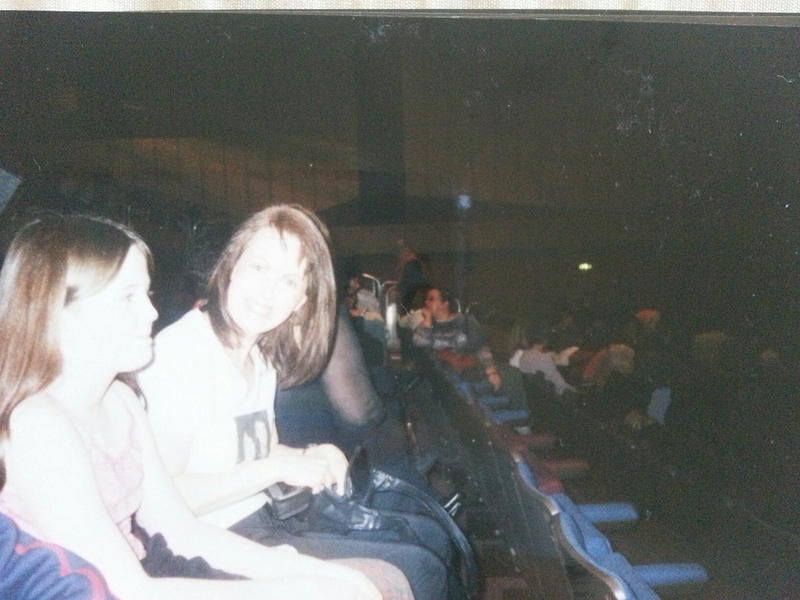 I’m sure the family enjoyed it, hope so, it was great they came along, I know they think I’m mad (& still do!) but when you enjoy yourself & having a FAB TIME it must be a good thing eh ! 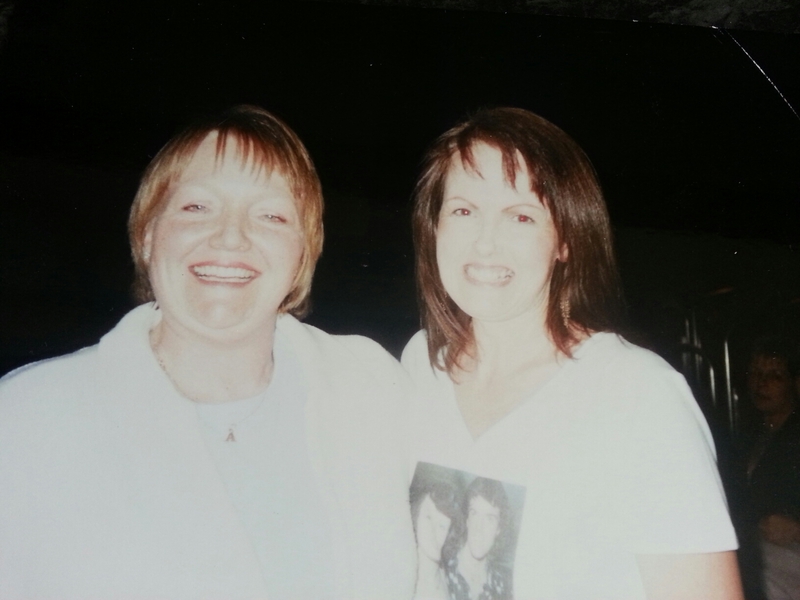 This entry was posted in BIC Bournemouth, Donny Osmond, Somewhere in Time 2003 Tour and tagged BIC Bournemouth, Donny Osmond, Donny Osmond Tour, Osmonds, Somewhere In Time 2003 by tinamckenzie.blog. Bookmark the permalink.